Small business owners: Is Artificial Intelligence a risk or opportunity? Should I sell or keep my shares? Subscribe now to get the latest news, blogs and updates from Pascoe Partners Accountants. There are currently over 2500 cryptocurrencies being traded, with new ones added every day. So it’s not simply about Bitcoins; though they are the highest-profile of these currencies. Despite the term being used widely, we frequently get asked the same question: what is cryptocurrency trading and is it a good option for me? Does not entitle you to receive something else (like loyalty points). How is a cryptocurrency traded? Cryptocurrency trading occurs through online exchanges, of which there are thousands across the globe. Some of these exchanges are based in countries that set regulations but most are not and, as such, may present a security risk. There are some exchanges in Australia, with a degree of regulation applying to trading but (like with most new technology) regulators are lagging behind the development of the technology. Australian exchanges are able to take payment in Australian Dollars, while overseas ones are not. Most major Australian exchanges will only deal in a few of the world’s larger cryptocurrencies. If you require access to smaller, newer currencies, an alternate exchange generally needs to be found. This usually means going offshore. These offshore exchanges will only take transfers in Bitcoins or a few other major currencies. This will first need to be purchased from an Australian exchange and transferred across to the offshore exchange. There is no single exchange with all currencies available, so you may need to open multiple accounts with multiple exchanges. This both increases the security risk and complicates the tracking of transactions. What are the tax implications of cryptocurrency trading? The ATO has just announced the setting up of a taskforce to deal with cryptocurrency. Officially, it does not consider it a currency but a capital asset and purchases with it are considered to be a form of barter. If a cryptocurrency is simply used to purchase goods or services for personal use up to the value of $10,000, there will be no income tax or GST consequence; and any capital gain is ignored. However, disposal of any cryptocurrency that you acquired as an investment could result in capital gains tax, with the usual capital gains rules applying. 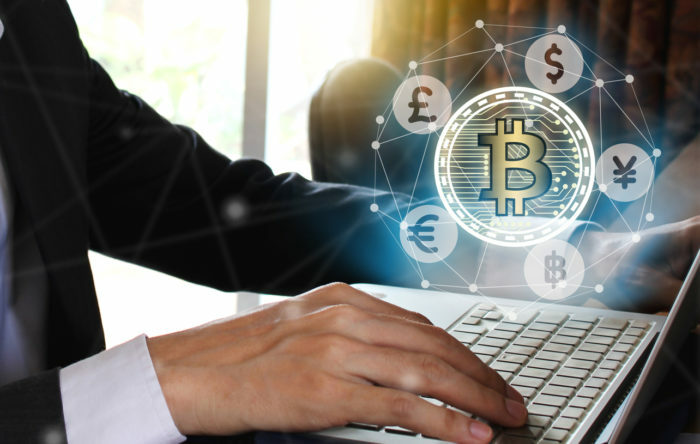 If, on the other hand, you are running a cryptocurrency trading business, the proceeds you receive are assessable income, with expenses on running the business (including the purchase of the coins for resale) allowed as a deduction. If used as part of a business enterprise, cryptocurrency received for goods and services is considered income. If spent on purchases, it is considered an expense. But there may also be capital gains consequences on the transactions. Additionally, GST may apply in some limited circumstances; and, if staff salary is paid in the form of cryptocurrency, it is considered to be a salary sacrifice and subject to fringe benefits tax. Should you conduct a business of mining cryptocurrency, the income derived when coins are transferred to a third party is considered assessable income. Overseas exchanges: if trades are conducted in exchange for bitcoins, this needs to be converted back to AUD. While some exchanges can give you a price in USD at the time, this still needs to be converted back to AUD. Some do not even provide that. What is the best conversion method? Transactions could be via a number of exchanges, so a number of reports need to be unified to track the transactions. What is the best way to record these? As prices can fluctuate vastly during one day, a spot daily price could mean hundreds or thousands of dollar differences in the allocated AUD paid/received. How do you convert the price at the time, specific to that hour, minute and sometimes even second? There are large differences between the prices of the same coin on different exchanges at any given time of the day. How do you pick which exchange to use? What next with cryptocurrency trading? Have you been trading for a while? Or just started out? Maybe you’re thinking of buying and want to make sure. Either way, we can show you how the rules apply to your individual case and provide some valuable pointers on how to reduce any tax liability, understand the traps and how to avoid them, and assist in record-keeping to remain onside with the ATO. If you’re thinking of buying, we can advise you on what to watch out for and how to structure your trading to give you the maximum advantages. Contact us here for further information.